Nursing professions are high paid, growing exponentially and recession proof jobs but finding the right nursing profession for you can be challenging and time consuming. Built by nurses and career counselors, CNAnursing’s goal is to help you through the process to a new and rewarding career. Find out if any of your friends and family are nurses and ask them about the pro’s and con’s of their jobs. Narrow down your choices by comparing the education requirements, salary and job outlooks (below). Watch videos about the nursing professions you’re interested in to learn more about the day to day work duties. Find schools near you or online offering programs for nurses and ask them questions about the jobs, tuition and class schedules. 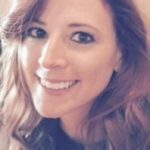 Set up a one day job shadow for the position you are interested in. This may be the most important step in making your decision. Start your classes at an accredited college and you are on your way to a new life as a nurse. 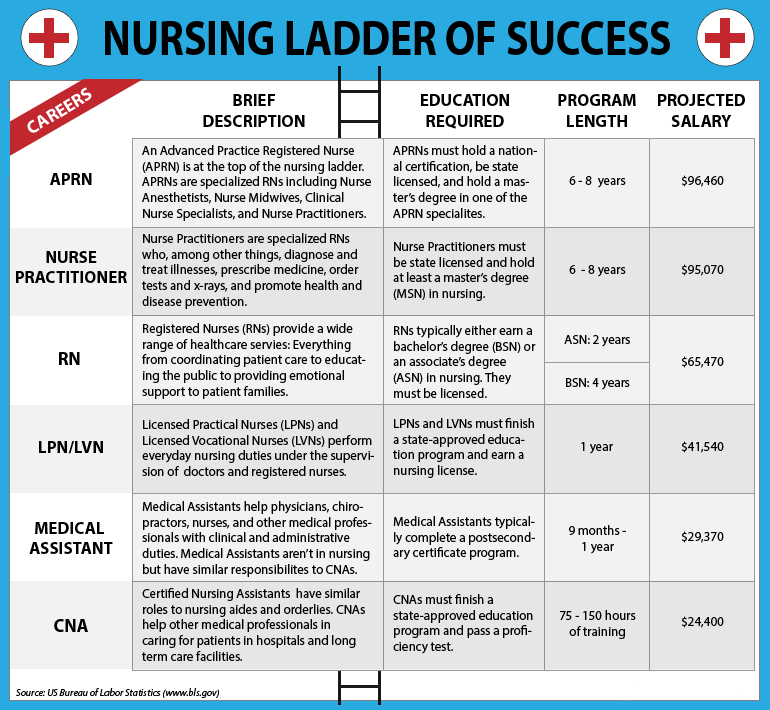 APRN: Top of the Nursing Ladder and leader of all nurses. Many specializations available and excellent pay. Nurse Practitioner: Must have experience as a RN and a MSN (Master’s of Science in Nursing). Will manage other nurses and diagnose patients. RN (Registered Nurse): Work in almost any healthcare setting and make up to $65,000 per year. Many RN’s get a BSN (Bachelor of Science in Nursing) but it is not a requirement. LPN/LVN: Great salary at $41,000 per year on average. Often work with doctors and RN’s. Medical Assistant: Not nurses but included in the Ladder because very similar roles and salary to CNA’s. CNA (Certified Nursing Assistant or Aide): Assist LPN’s and RN’s and make $24,000 per year on average. A great way to get started in the nursing profession and find out if it is a good fit for you. There is no reason to wait. Get started today by reading our nursing profession guides, latest nursing articles (written by nurses) and follow the outlined steps. Your life will never be the same again! Looking for more information on CNA Classes in a specific city? This is just a small sample of all the areas you can get certified! Find local and online Nursing programs below. It’s free!